When a dam no longer serves a useful purpose, removing it is an option that comes with the benefit of restoring the waterway’s natural flow and rehabilitating native fish populations. But removing a dam is no easy task. Seattle City Light was faced with this challenge when removing Mill Pond Dam and restoring six miles of Sullivan Creek channel. 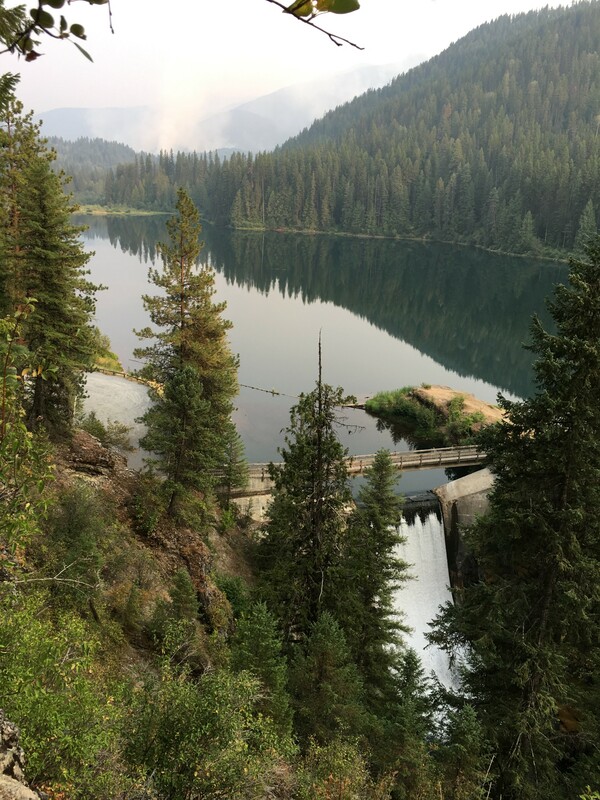 The dam removal satisfied relicensing requirements for its Boundary Hydroelectric Project, a 1,004 megawatt facility that supplies more than 30 percent of Seattle’s power needs. Mill Pond Dam was originally constructed in 1909 using a log crib design; in 1921, a 134-foot-long, 55-foot-high concrete dam replaced the original structure. The dams had not provided hydropower or flood protection for more than 50 years — and they disrupted downstream sediment and wood transport, which resulted in degraded habitat for spawning fish. 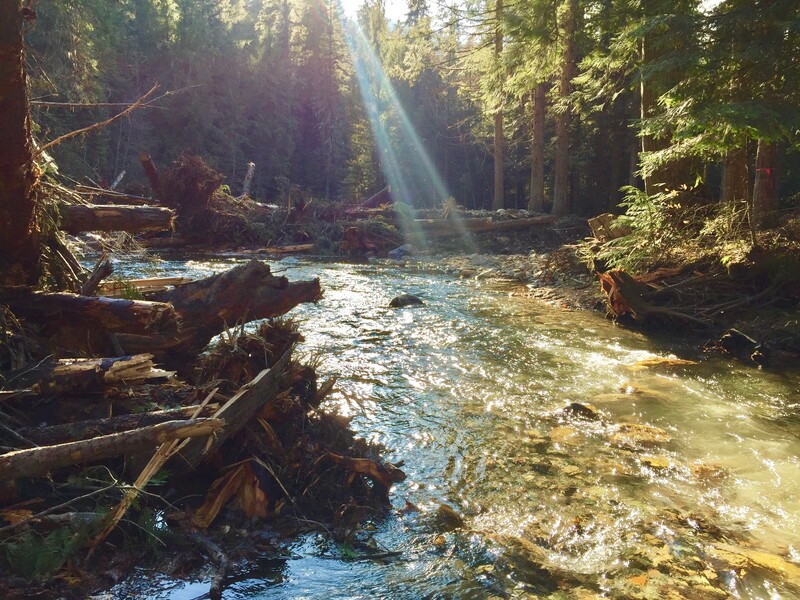 The dams also prevented upstream movement of fish and raised stream temperatures above what is ideal for native Westslope Cutthroat Trout and Bull Trout. Seattle City Light’s original license outlined a traditional approach to removing the dam and restoring the creek, which included removing both dams using a coffer dam, retaining all sediment onsite, and installing a highly engineered stream channel system requiring a significant number of grade control structures. Once implementation got underway, it became clear that sediment conditions made the original approach infeasible. The utility and its stakeholders brought in experts including geomorphologists, ecologists, and dam removal engineers to envision a holistic approach to watershed restoration. Design decisions were driven by a focus on watershed resiliency, creating a multi-thread stream channel and floodplain complex that can freely adjust to a variety of flow conditions. The design includes more than 100 large woody debris structures located in the channel and in side channels, which will be activated in higher flows, as well as dispersed in the floodplain in the channel migration zone. Interconnected channel beds and active side channels also provide a buffer against climate change by allowing the floodplain to retain groundwater, which helps to lower the stream temperature in hot summer months. This approach required final channel and floodplain elevations to match the pre-dam conditions. To achieve this, several hundred thousand cubic yards of accumulated material had to be flushed from the system. 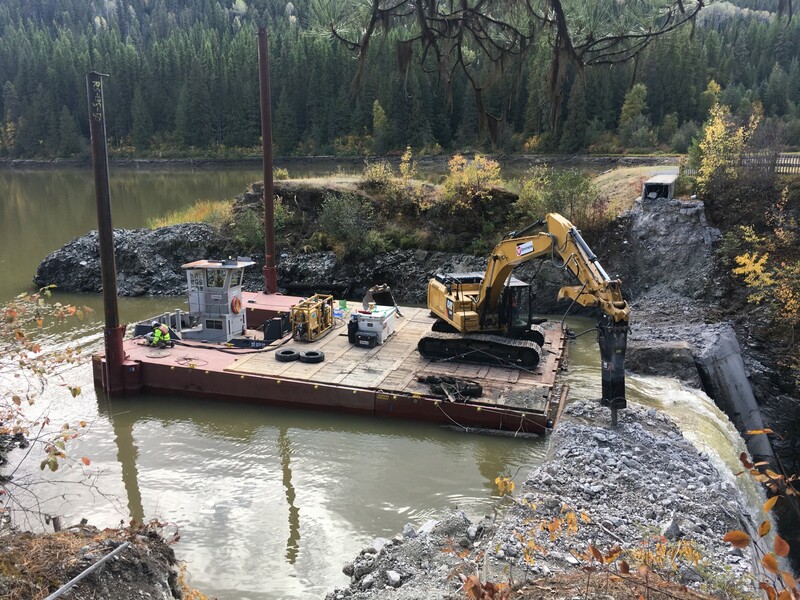 The project team decided using the power of Sullivan Creek and an upstream water storage reservoir to flush the accumulated sediment out of Mill Pond was the best possible solution for this site. “We’ve learned from other Northwest projects, like the Condit and Elwha Dam removals, to allow the creek to do as much of the work as possible in removing accumulated sediments and debris,” Armstrong says. The project wrapped up in late 2018 and restores connectivity to more than 46 miles of upstream habitat. The project sites include more than 85 acres of floodplain and riparian restoration, 9,000 linear feet of restored channel, 2,500 linear feet of channel enhancement, 4,700 linear feet of side channel enhancement and creation, and the installation of more than 1,200 pieces of large wood to enhance aquatic habitat. The project also restores large wood and sediment transport processes in the stream. Seattle City Light is confident the effort will help protect the future of native fish, including the threatened Bull Trout and native Westslope Cutthroat Trout. Seattle City Light’s efforts were honored by the National Hydropower Association, which awarded it with a 2019 Outstanding Stewards of America’s Waters award in the category of Recreational, Environmental, and Historical Enhancement.